Kikino is proud to be predominantly staffed and governed by persons of Métis heritage.  We acknowledge the importance and value of a culturally rich environment which nurtures Métis culture and identity. Kikino strives to achieve culturally competent and enriching programs and services through the inclusion of Métis staff, directors and volunteers. Kikino means "home" in the Michif language... and we aim to create a welcoming, comfortable and culturally rich environment where families can feel "at home". Kikino Directors commit to a minimum two year term on the Board and are requested to attend one board meeting a month.